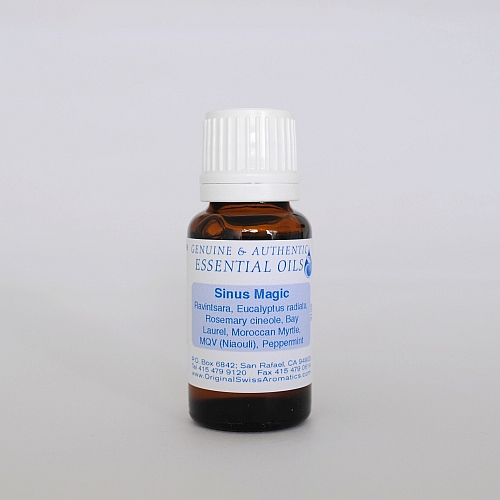 Sinus magic heals even long-term sinus infections. 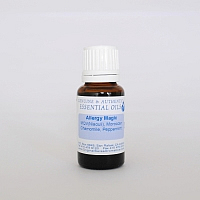 Long-term studies with hundreds of cases prove the efficacy of this blend. 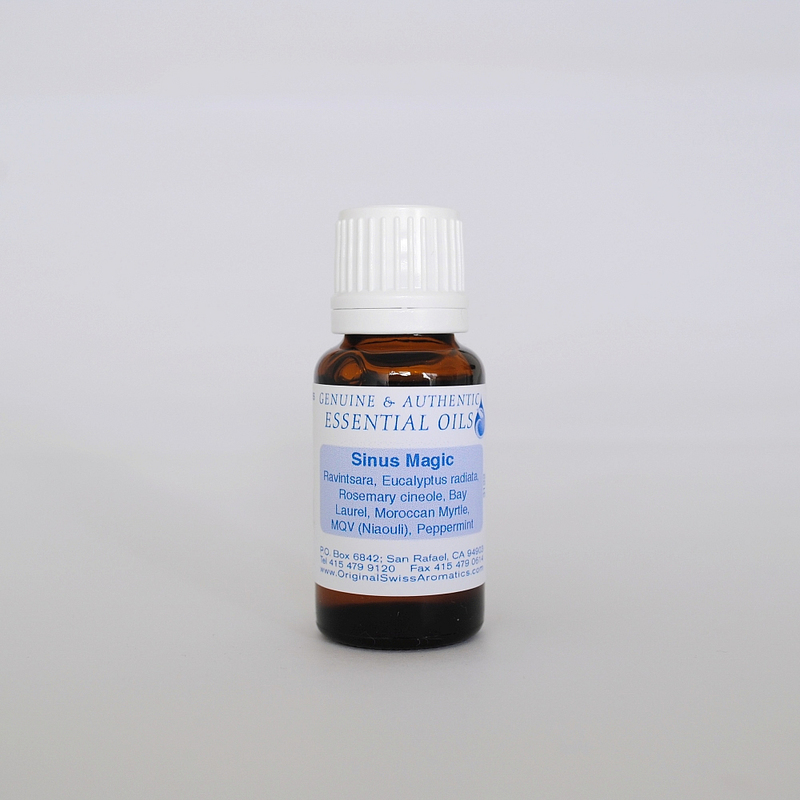 Put one drop on the tip of a paper tissue or cotton wand, insert into the nostrils, or inhale the blend out of the bottle. Can also be applied topically to the throat and chest. 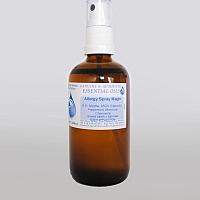 Ingredients: Eucalyptus radiata, Rosemary cineole, Bay Laurel, Ravintsara, Moroccan Myrtle, MQV (Niaouli), and Peppermint.